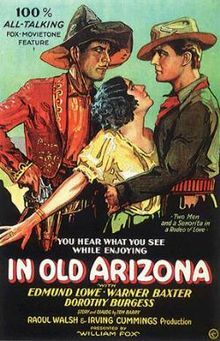 IN OLD ARIZONA starred Warner Baxter as the Kid(he won Best Actor Oscar for the role, the second ever given) and was directed by Irvin Cummings and Raoul Walsh(in a cruel bit of irony, Walsh was supposed to play the Kid until a rabbit leaped into his windshield, the resulting accident costing him an eye). Based on the O.Henry short story, THE CABALLERO’S WAY, the Kid of the movie and all future ones was toned down considerably from his origins. The film also got Oscar nominations for best director, best writing, best cinematography, and best picture. The film was also notable for several reasons. The first western to use that new sound innovation and the first “talkie” to be filmed outdoors. Also instrumental in the development of the singing cowboy with Baxter singing a song to his love, Tonia(Dorothy Burgess). The plot is simple. The Kid is a notorious bandit with a $5,000 reward on his head. He’s charismatic though, a sort of Robin Hood who doesn’t steal from folks, but mostly banks or Wells Fargo. When he holds up a stage and takes the gold strong box, he even does a bit of flirting with the female passengers. Complaints from Wells Fargo gets the army into it and they send Sergeant Mickey Dunn(Edmund Lowe) in with a patrol to run him down. Dunne is a New York boy who dreams of returning there and away from the west. The two men meet in a barber shop when Dunn stops by for a haircut and the Kid is just finishing and about to have a bath. The Kid is only known to a few in town and the two trade quips about women(The Kid: “I love a girl.” Dunn: “I love one too. At a time.”). They agree to meet later at the saloon for a drink. Dunn learns shortly from the blacksmith, an old army buddy, that the man he’d been socializing with was the Kid himself. The Kid’s girl, Tonia, doesn’t seem as true to him. Upon his arrival, she hustles another man out the back door, then makes over him to cover the escape. He leaves for another job just before Dunn shows up and Tonia makes over him just as much, seeming fascinated by the uniform. She seems a grasping woman as she finds the wanted poster and extracts a promise from Dunn to give her the money when he kills the Kid. 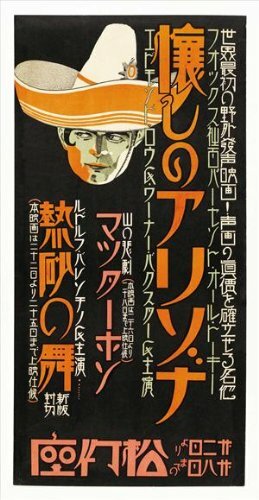 The film follows O.Henry’s story fairly close, besides cleaning up the Kid’s image a bit, with a few minor changes. 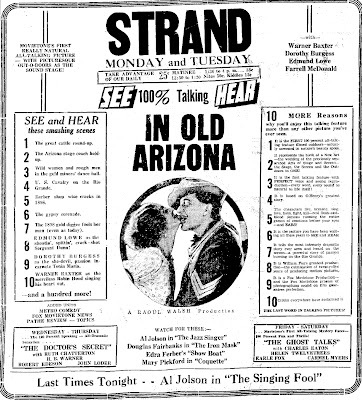 It had a Los Angeles premiere in September, 1928, but only got wide release in January, 1929. An interesting picture for me. 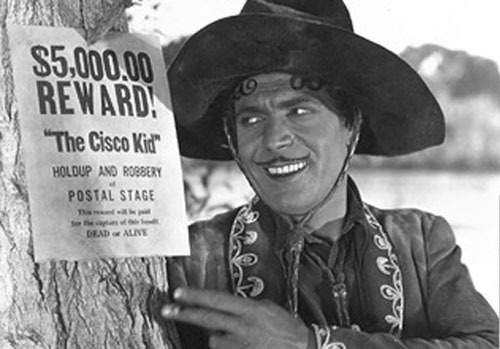 I don’t think I’ve ever seen any other Cisco Kid stuff, movies or television, aside from a clip here and there. Just know him by reputation. For more overlooked films, and related stuff, go to Todd Mason over at Sweet Freedom. Marcelled waves in her hair too. Love that poster. Marcelled waves? You’re out of my wheel house now, Patti. I’ve always wanted to see this one. The O. Henry story is one of his best. Thanks.